Crank handle music box mechanism with additional rotation functions. Many attachments for selection, Rotating shaft with M3 left thread, Metal disc as platform support stuff. The rotation can be on side or on top center. 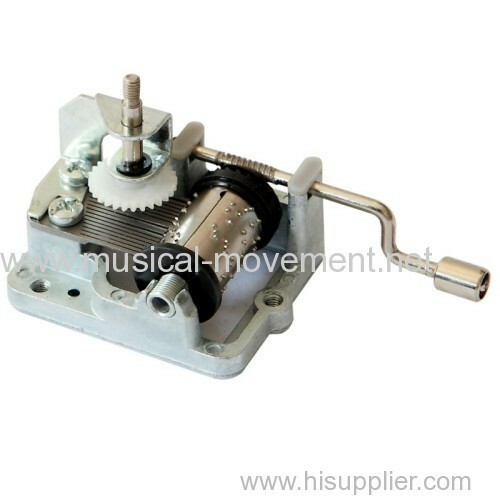 Group of Rotating Hand Crank Music Mechanism has been presented above, want more	Rotating Hand Crank Music Mechanism and Hand Cranked Music Box Movements, Please Contact Us.